Another great news for the citizens of Colchester, around 40 jobs will be created for residents if the plans for a new supermarket get the go ahead from the Colchester Council. Recently, Lidl opened its first Colchester store. The company officially bought the old Co-op store in Abbot’s Road, Colchester. Yesterday, the proposals were revealed and supermarket bosses want to demolish down the old Co-op store. The Co-op store closed in September. Lidl is planning to replace it with a new building. (Lab) Colchester councillor for Old Heath and the Hythe, Lee Scordis, said it was good news. “From what I have heard, residents wanted it as a shop. It’s nice walking distance for a lot of people and Lidl is much more affordable. “The only disappointment is it’s going to take time to build a new store. “I know the current building is not fit for purpose, and I believe that’s why the Co-op moved out in the end. “It hadn’t been updated to current supermarket standards. I imagine Lidl wants more space for a warehouse and Lidl has a different layout to Co-op stores anyway. According to the proposal, it includes a 114-space car park. The car park will include five disabled bays and seven parent and child spaces. 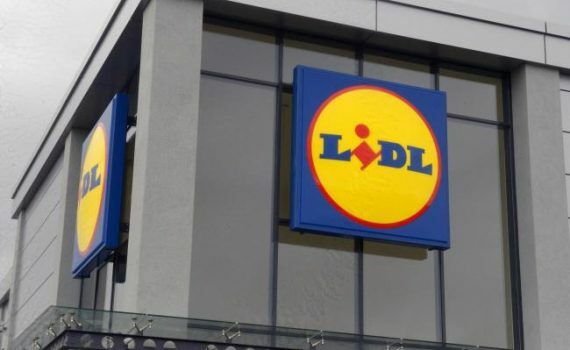 Lidl also said are planning to make the new store similar to its Gosbecks store, which finally opened last September after several years in the making. The site it was built on was formerly occupied by the Colchester Wine Company. The leaflet for the new store planned to recruit local people for the 40 new jobs. Residents of Colchester are being asked for their views and opinions on the plans. Letters are being sent to houses across Colchester. The supermarket bosses are also working with planners at Colchester Council. They have yet to send in formal plans for consideration. It is expected that they will be submitted following the resident consultation. A Lidl spokesman said the store would hopefully open in 2018, if everything goes according to plan.